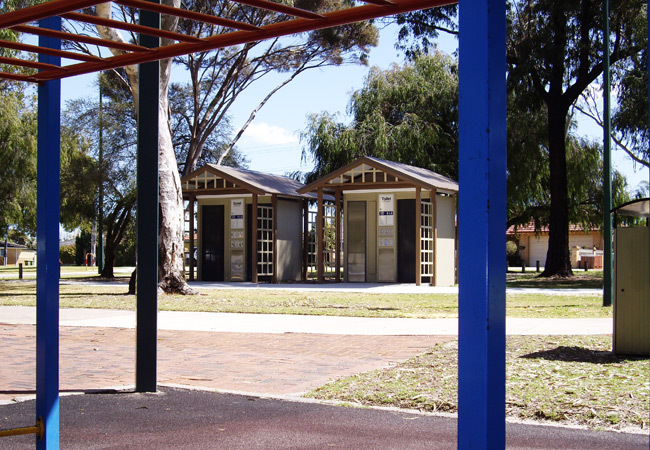 As shown by the recent installation of the Exeloo model 01 and 02 automated toilet units at Tomato Lake, the City of Belmont have continued on with their investment of quality, hygienic and safe public toilet facilities. 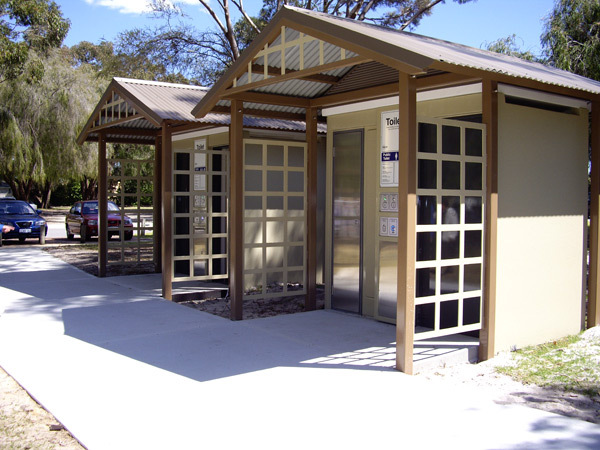 Following on from the success of the Exeloo 01 at Hardy Park, the council selected a single unisex unit and a twin pan ambulant unit for this busy recreational location. With one of the objectives to standardise their public toilet facilities, our brief from council was to retain the external features of the gable roof and extended lattice panels, similar to that at Hardy Park and adapt it to this new three pan configuration. This pleasing design has been overwhelmingly accepted by the local residents and park users alike. 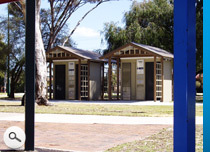 The locating or siting of a modern public toilet facility is as critical as its functionality. 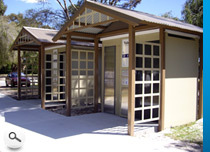 The toilets at Tomato Lake are an excellent example of how to apply the basics of the CPTED principle. This will help ensure confidence, comfort and most importantly safety to users of all ages.